A first-time partnership struck to celebrate global free cone day between Ben & Jerry’s, Shazam and POSmusic has proven key to delivering customer conversions for the icecream brand. The trio worked together to deliver an integrated in-store activation combining curated playlists, brand audio messaging, and a specially created Ben & Jerry’s augmented reality experience in line with cone day on 4 April. POSmusic’s curated playlist entertained customers while waiting for their free scoop, while audio messaging delivered between songs encouraged customers to take out their phone and ‘Shazam’ special promotional content to gain access to a Ben & Jerry’s AR experience. The custom experience, available via the Shazam app, also allowed customers to enter an instant-win promotion. Prizes included a year’s supply of ice cream and discounts on treats. POSmusic’s in-store audio messages provided information on the Ben & Jerry’s brand story and information on the range of environmental and social initiatives Ben & Jerry’s supports. 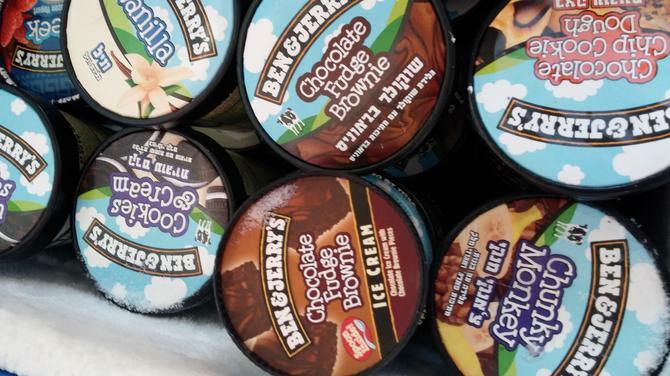 During the promotion, Ben & Jerry’s gave away about 108,620 free scoops in Australia, and 17,740 scoops in New Zealand for a total of 126,360 scoops. The company said the Shazam activation and competition achieved an 82 per cent conversation rate, with POSmusic’s in-store music program helping to drive 64.3 per cent of the total number of free cone day shazams. Ben & Jerry’s retail development manager for A/NZ, Luke Mabey, said the in-store activation aimed to sweeten the experience for customers while thanking them for “coning” together on free cone day. Shazam sales manager Asia-Pacific, Tim O’Connor, said the innovative campaign allowed consumers to access Free Cone Day content by shazaming any audio, visual or location-enabled marketing assets. “It’s great to be working with partners who are also pushing boundaries, and importantly, we are proud to help Ben & Jerry’s connect with customers on their iconic day,” he said. POSmusic CEO, Harley Sedman, added Ben & Jerry’s is an iconic brand with a long history connected to music. “We are wrapt to be helping them connect with their customers in such unique and integrated way. It’s been a pleasure working with Ben & Jerry’s and Shazam to help entertain customers and close the gap between the physical and digital space,” he said.